If you’ve been searching for the perfect chocolate whipped cream frosting recipe, your search is over. Simply continue reading to discover how to make a sweet, chocolate whipped cream frosting. Once you’ve successfully created your yummy chocolate whipped cream frosting, use a silicone frosting tool or a knife to carefully spread your chocolate whipped cream all over your chosen dessert. Making sure to spread your whipped cream frosting as evenly as possible. As sprinkles, chocolate flakes, nuts, candy, and marshmallow will quickly stick to your whipped cream, if you’re looking to decorate your cupcakes, cakes or cake pops, it’s a great idea to sprinkle a few extra toppings onto your chocolate whipped cream frosting. As an example, if you’re considering baking a chocolate cake for a special occasion, you may want to try decorating your whipped cream frosting with rainbow colored sprinkles. Especially if you plan on surprising a child with a bright and colorful, chocolate birthday cake. Alternatively, if you’re looking to bake a rich chocolate cake for an adult friend or family member, you may want to experiment with carefully placing a few berries on your chocolate whipped cream frosting. As an example, you may want to decorate your chocolate cake with strawberries, raspberries, and raspberries. While you may use whipped chocolate cream frosting in order to decorate your chocolate cakes and sponge cakes, you can also use chocolate whipped cream frosting to decorate a wide variety of desserts. As an example, chocolate whipped cream frosting pairs well with chocolate brownies. As chocolate whipped cream frosting adds a bit of softness to the hard texture of a chocolate brownie. If you bake cookies such as chocolate chip cookies on a regular basis, you may also want to try frosting your next batch of cookies with chocolate whipped cream frosting. Alternatively, if you enjoy baking cheesecake, you may also be interested in decorating a chocolate cheesecake which boasts chocolate whipped cream frosting. 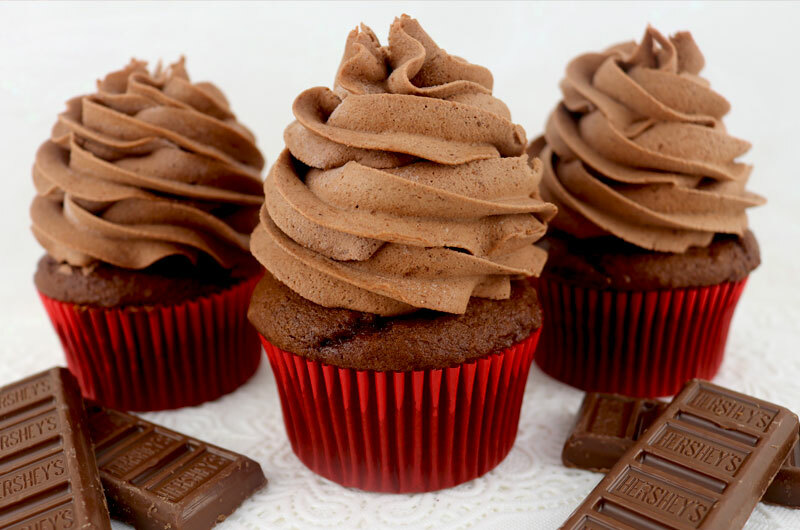 Lastly, if you enjoy baking cupcakes, it’s well worth using your brand new chocolate whipped cream frosting recipe, to decorate your next batch of cupcakes with. So if you have a bit of a sweet tooth and love chocolate, it’s well worth testing out the chocolate whipped cream frosting recipe listed above. As you’ll be sure to be impressed with its texture and taste.